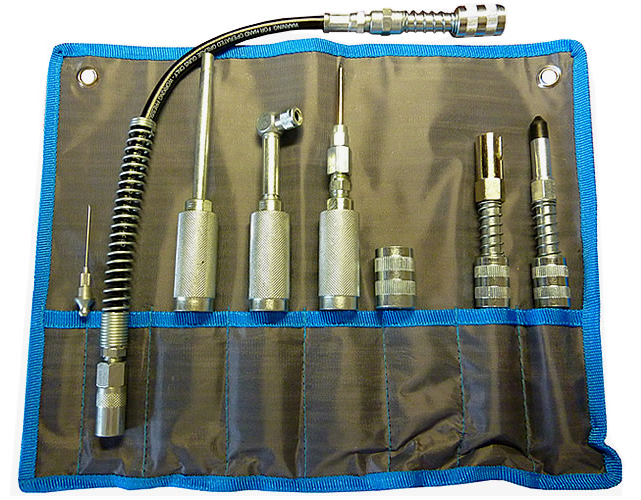 Grease Gun Quick Connect Adapter Kit with Heavy Duty Roll up Sleeve. For Quick Conversion of Jaw Type Couplers to Lubricate a Variety of Fittings. No Threads, No Screwing or Unscrewing, Just Snap Our Quick Connect Couplers onto any Standard Coupler and Use. Made in The USA. Material: Zinc Plated Carbon Steel.